Skin cancer can be devastating. Even after cure, the scars left behind can have a severe impact on a patient’s self-esteem. Midwest Facial Plastic Surgery offers several Mohs Reconstruction treatment options to directly address a “Mohs Defect,” or the hole that results from a skin cancer removal. These treatments may be undertaken immediately after your Mohs surgery or delayed several weeks depending on the size and location of your scar. In some instances, Mohs surgery scars are not surgically treated and the defect heals by “filling in” or Secondary Intention. Whether or not this option is chosen is primarily dictated by the location, size and depth of the defect. The duration of time for healing by this Mohs surgery reconstruction varies, but typically takes 4-12 weeks. The advantage of this method is that no additional procedures are required, and usually minimal visibility of the Mohs surgery scar is evident. The potential disadvantages are a depressed, white or hypo-pigmented scar. Skin grafting is a frequently employed technique. Skin is typically harvested from in front of the ear and is used to fill the defect. 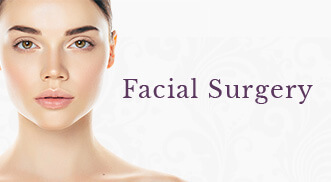 This area is also the same location that an incision for a facelift is placed. The removal of skin from in front of the ear on one side of the face will not create facial asymmetry. It is very typical that skin grafting is delayed for one to two weeks, or even longer, so that a deep defect can fill in. Because the skin graft lacks a blood supply, survival of the graft is improved by having a healthy area to place the graft. By cleansing the defect with peroxide and applying Aquaphor® ointment frequently, one can obtain this. Periodic clinic visits are also used for cleaning the wound. Local flap closure is another frequently utilized procedure. The technique for closure uses skin adjacent to the defect. Frequent types of flaps include: advancement flaps, bilobed flaps, rhombic flaps, and island pedicle flaps. The advantages are that similar tissue or skin is used to reconstruct the defect, and it is completed in a single treatment session. 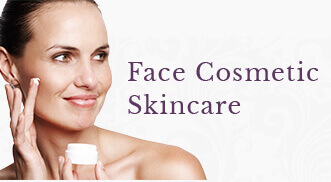 It does, however, frequently require minor additional procedures to minimize the appearance of the scar. Regional flaps are used when larger defects are present and when multiple layers of tissue have been removed such as skin, cartilage and nasal lining. Typically, a minimum of two surgical procedures are required, with the first being the most involved and the second being relatively straightforward. Each procedure is separated by 6 to 8 weeks. Often, skin is borrowed from one area but is left attached to its origin. The site of origin provides the blood supply to the skin used to cover the defect. Once the rotated flap has had an opportunity to develop a blood supply from the surrounding tissue, the original blood supply is removed at the second surgical procedure. The method of reconstruction of your Mohs surgery scar is dictated by the size, location and presence or absence of supporting soft tissues such as cartilage. Our surgeons will make every effort to educate you on which method would be best for you. Whichever method is chosen for closure of your defect, it is not unusual that some minor modifications may be performed to enhance the overall appearance. 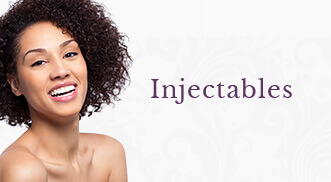 Contact our Eagan and Woodbury clinics for a consultation. Are you interested in learning more about Eagan & Woodbury Mohs Surgery Reconstruction?